Now at the end of year two of a National Science Foundation (NSF) grant with Maine Math and Science Alliance, Cornerstones of Science recently awarded and trained two libraries on The Cube third generation 3D printers. The STEM Guides Project (NSF#1322827) works to get science activities into communities through trained guides who focus on science, technology, engineering, and math. The librarians at Blue Hill Public Library in Blue Hill, ME and Thompson Free Public Library in Dover-Foxcroft, ME are considered STEM guides and are part of this initiative. 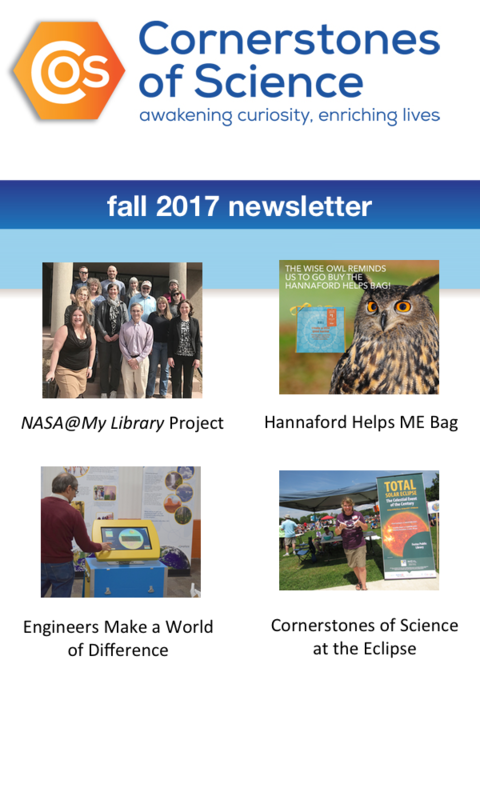 Blue Hill and Thompson Free libraries have been and will continue to work with patrons, community members, and other STEM Guides to find ways for the community to enjoy and engage in science. The libraries do this through informal science learning opportunities with a telescope, two different microscopes (a compound and digital hand-held), the 3D printer, and with programs and events such as star parties and science cafes. In future years, a few more libraries that are part of this five year grant will receive scientific tools. The work conducted and learned from this grant will help inform what training, guidance, and best practices are needed to be in place for librarian and patron success, and for the community to have a deeper connection to world around them.